Barry Hearn has told Sky Sports that the PDC Grand Slam of Darts final is likely to come under investigation. 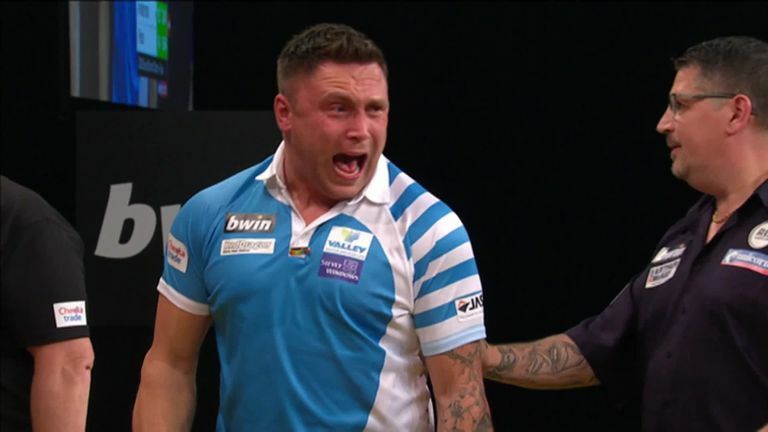 Gerwyn Price completed a thrilling 16-13 win over Gary Anderson to claim his first PDC major title. But the match was riddled with controversy, including a coming-together at the oche which saw the pair square up to each other. Complaints were leveled against Price for his conduct throughout, but Anderson’s actions were also called into question. While it isn’t Hearn’s call, the PDC Chairman did confirm that the DRA will be looking into it. “Disciplinary action falls outside of my remit completely. That comes under the auspices of the DRA,” he said. Hearn acknowledged the case against both players. 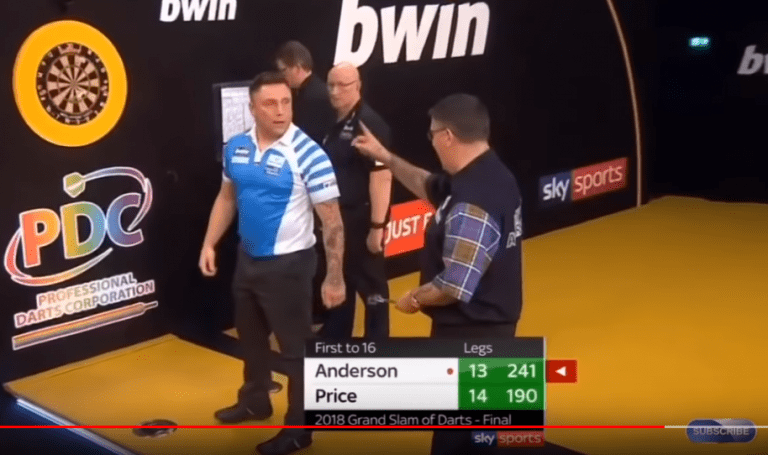 “We want to see the passion, but the question the DRA will have to answer is, did Gerwyn Price step over that line of celebration to the point of gamesmanship?” he asked. The PDC figurehead made it clear that while no immediate action will be taken, the organisation will take the DRA’s recommendations seriously. “Should there be an additional person on stage in an official capacity? That may well be one of the recommendations coming from the DRA,” Hearn suggested.